Remember I told you about the S.Pellegrino Taste Guide the other day (when I shared that awesome Giant Chicken Nugget Parmigiana)? 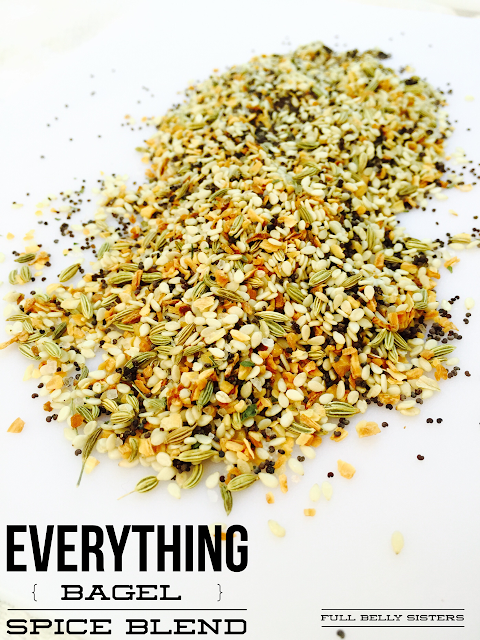 The online guide that explores U.S. cities through the eyes of chefs and notable foodies? 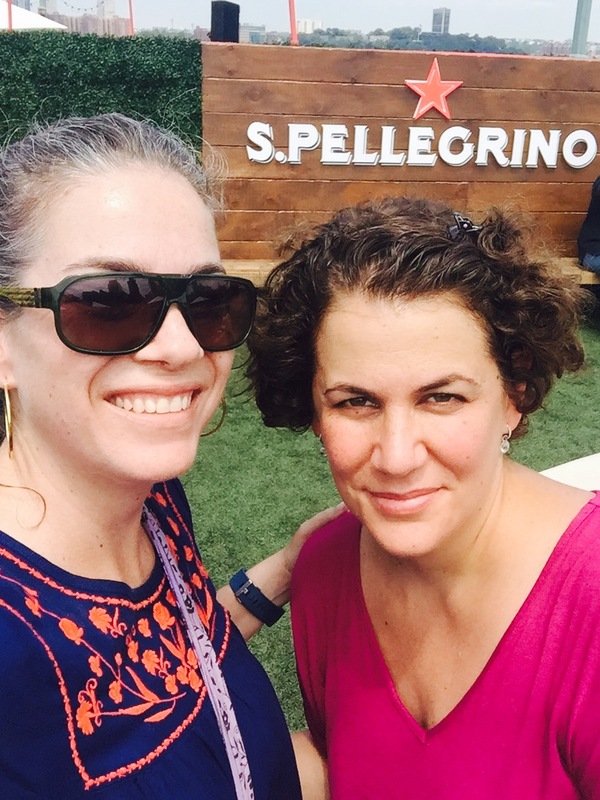 Well, yesterday my sister and I attended a very special #TasteGuide event right in our hometown of New York City! It was a gorgeous summer day and the fabulous event was on a pier over the Hudson River. 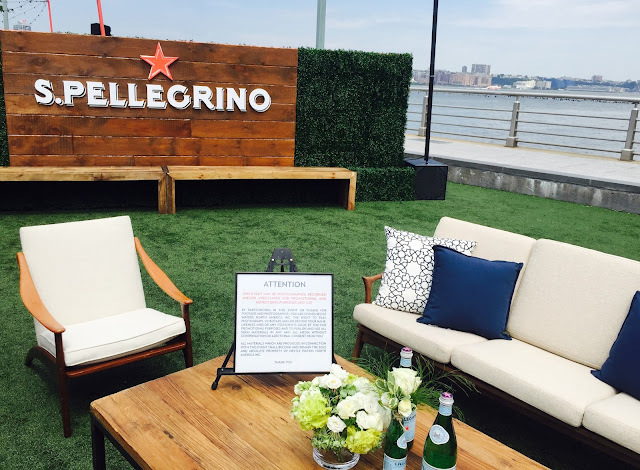 They had lovely "living rooms" set up for relaxing and #sanpellegrino-drinking before you even entered! 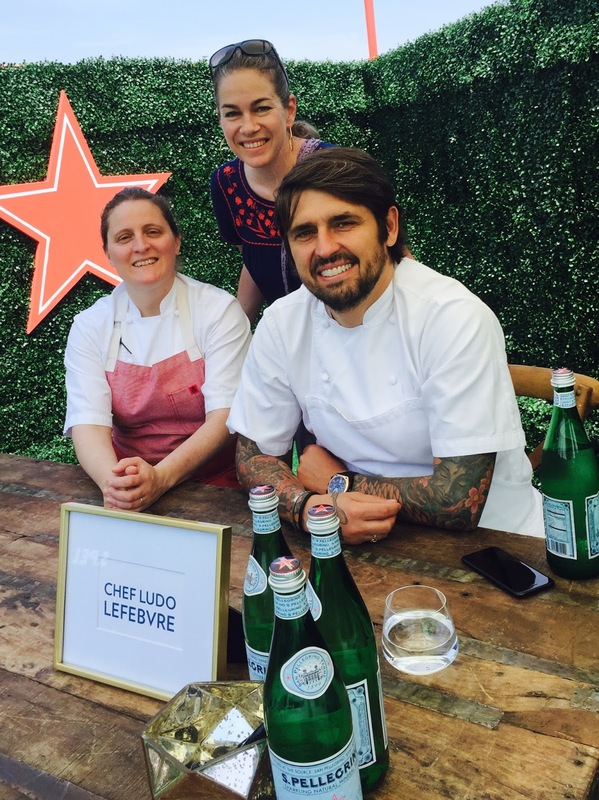 And we got to meet and chat with celebrity chefs April Bloomfield and Ludo Lefebvre, who created delectable dishes for this chic Taste Guide event. You can learn more about them, their favorite dishes, and their picks for best places to eat amazing food here. 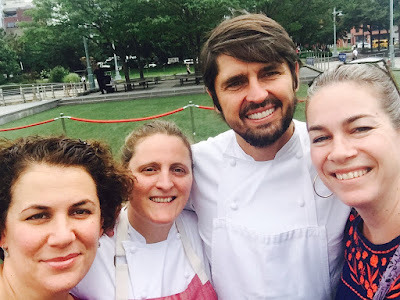 These chefs are on a mission to find the most exciting restaurants, new experiences, emerging trends, and foodie sensations all around the country. 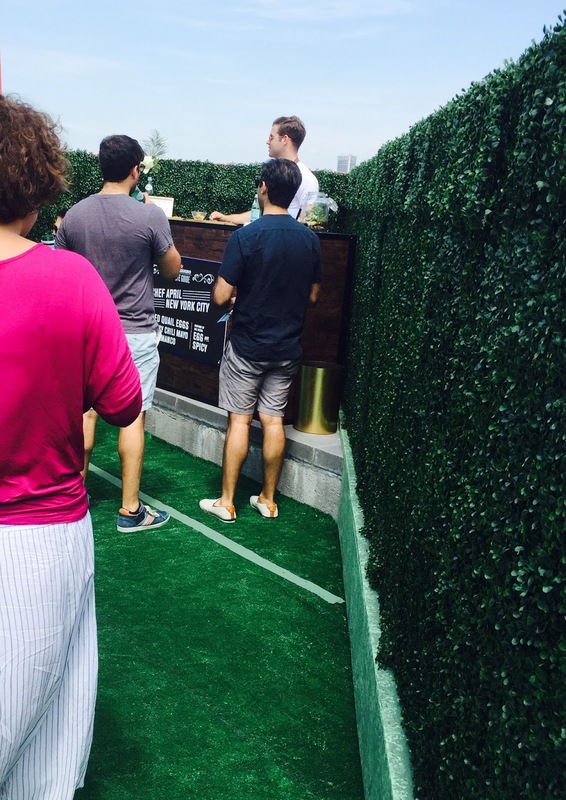 That wall was actually part of a cool hedge labyrinth that guests walked through to experience the event. You collected trendy tastings—and refreshing Sanpellegrino water!—as you walked through it. You never knew what deliciousness would await you around each corner. My sister hadn't ever had quail eggs before. I'd never had quail eggs like THIS before. Lightly battered, delicate, and totally delicious. Also delicious: the cute server. Some of the other bites we got to try: Chef April's Raw Scallops and Mahi-Mahi with fermented pineapple and Thai basil; and Chef Ludo's Tuna Tartare Tart with mayonnaise and capers, as well as his and Beet Tostada with lime and avocado capers. 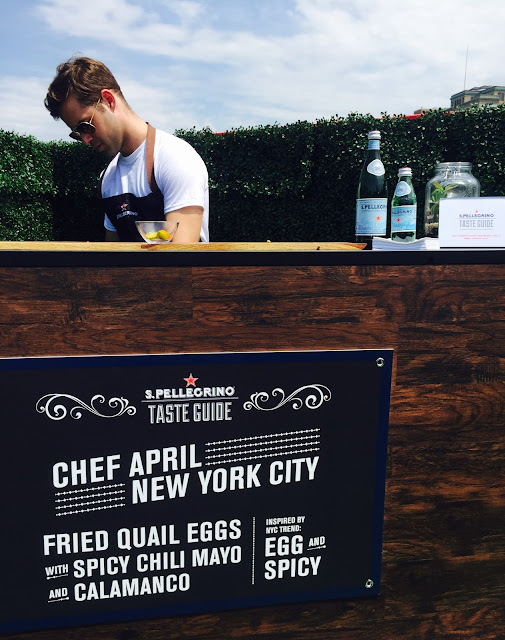 The Taste Guide event's menu was based on current culinary trends—top chefs are always looking for the best new flavors and ingredients and innovative preparations. And that's what you'll find in the S.Pellegrino Taste Guide. 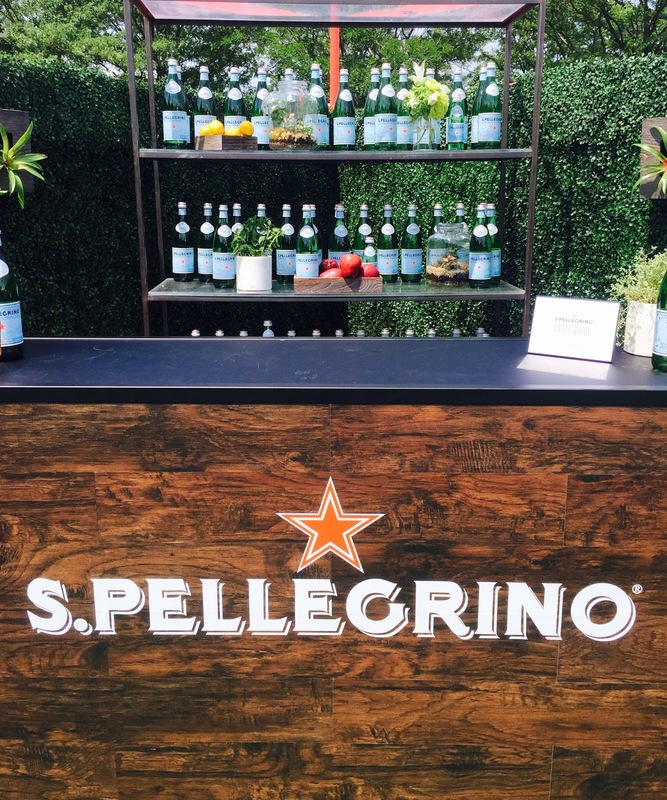 There's even a giveaway on the site now...enter to win a chance at a year's supply of Sanpellegrino! Once we got to the center of the topiary maze, we found the chefs again, as well as a beautiful bar—full of gorgeous Sanpellegrino. 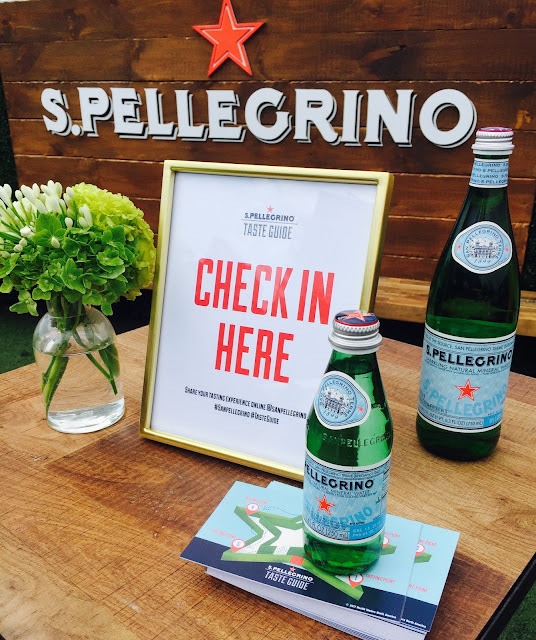 Nothing like a cold glass of sparkling natural mineral water on a hot, NYC day! 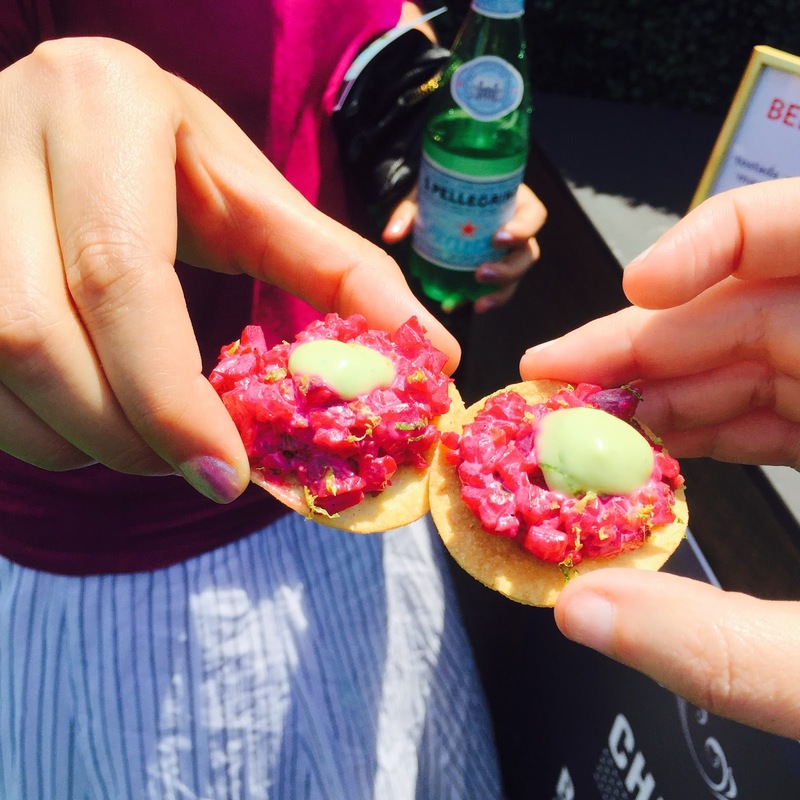 It was a beautiful event to celebrate the latest, yummiest, food trends happening in our city and around the United States! And, remember: you don't have to live in a big city to Taste What's Trending. Just head over to the online Taste Guide and learn about the most innovative restaurants, new foodie experiences, and tasty trends! This event looks like lots of fun! I've been having a great time following your adventures on Instagram too! Thanks for the links to the taste guide as well! This event looks awesome and some very cool tastings!! Oh my gosh it looks like you had a blast with so many tasty bites and sips - how fun! I have to say I let out a belly laugh when I read your comment about your server :) What a fun event! 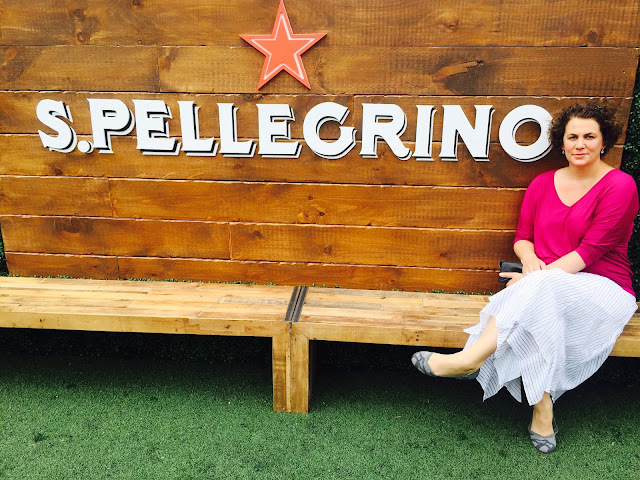 I love San Pellegrino! Especially the fruit flavored ones. 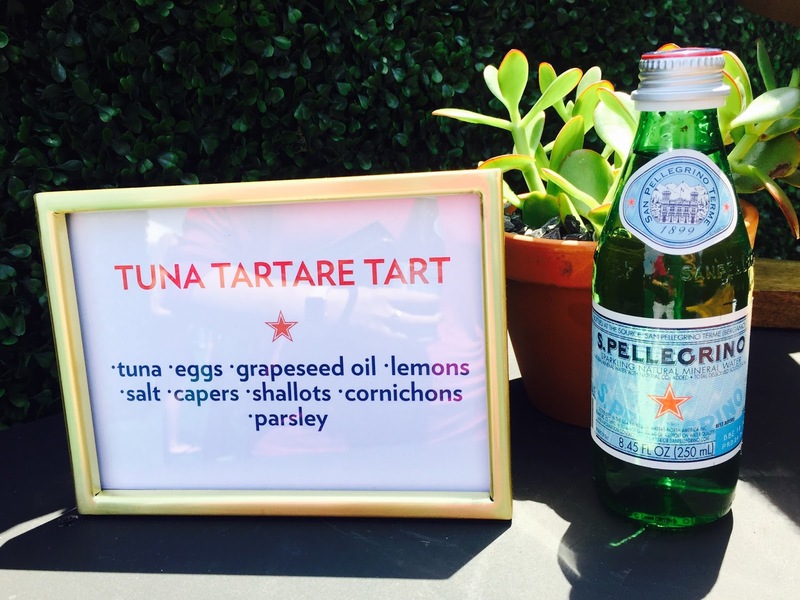 Everything you got to try looks gorgeous, I love quail eggs and of course, tuna tartare, always a winner.